Begin with the puree – cut the peaches and one of the sprigs of mint in small pieces, combine in food processor with the orange juice, sugar, and salt & pepper to taste. Lightly season the fish with salt and pepper. Heat the oil on a stainless steel skillet over medium high heat. Add the fish, presentation side down, cooking for 3 minutes. Remove pan to oven for another 3-4 minutes. Return to stove top and cook on the other side for 30 seconds. 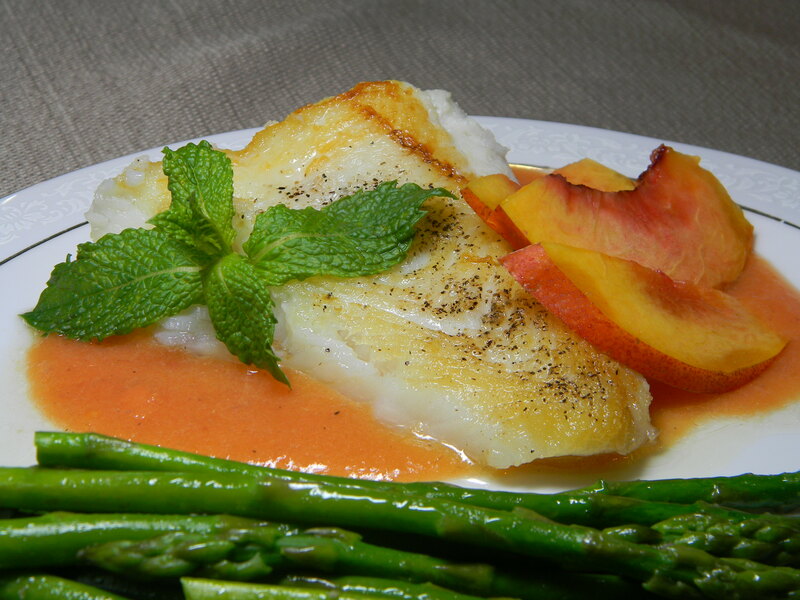 Serve fish over peach puree, garnished with thinly sliced peaches and mint sprigs. ENJOY!